when i moved to arizona the first thing i did was get my arizona teaching license. of course, moving from state to state doesn't make it easy to transfer paperwork, but i went through the steps -- i applied for a fingerprint card (wait time 6-8 weeks), and i signed up for an arizona history class with the university of phoenix. i was less than pleased to have to wait for my fingerprint card, but i was excited to take the history class. i mean, history is my jam. and being from the east coast, i sometimes forget about the fact that the western part of the united states is super old and historical also. imagine my surprise when i learned that arizona, the 48th state in the union, was only 100 years old. that's crazy. and crazy young. of course there is much more to arizona history than the past 100 years, but i was shocked. namely because i'm from the east coast, where everything is old. not just the pre-colonization stuff, the post-colonization stuff too. everything. i learned a lot in my arizona history class. i learned that arizona is home to many different native american tribes and was originally colonized by the spanish. i learned the five Cs of arizona: citrus, cattle, copper, cotton, and climate. i learned that arizona was the often seen as "a wasteland, a desert, an indian-infested obstacle between santa fe and san deigo". at the time, i thought this was true. but since then i've discovered arizona is so much more. 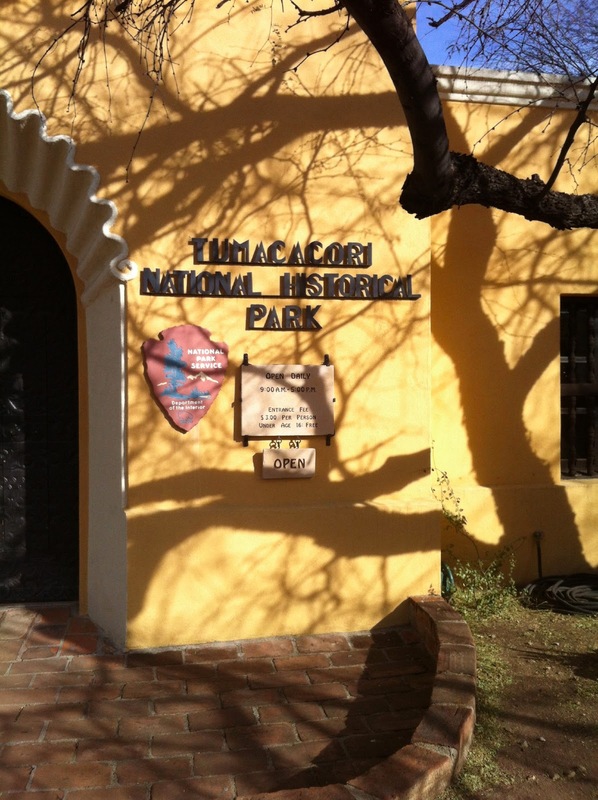 one of the newest places i've discovered is tumacácori: a mission founded near the santa cruz river in 1691 by father kino, a jesuit missionary. over the years, this mission passed from jesuit hands to franciscan, was abandoned, rebuilt, bankrupt, and preserved. it acted as a fort, a small village, a church, and a cemetery. the chapel has been used as a stable, a bunk room, and was even vandalized by general john pershing. but i think it's held up pretty well. tumacácori is located about an hour south of tucson along I-19. another mission father kino founded was the mission san xavier del bac. i have visited it already, but since i had my dad's fancy camera, i thought i would try and get some better pictures of the inside of the church. plus, i can't resist a white washed building against a blue sky. it's just so pretty. what is your favorite historical thing to go visit?